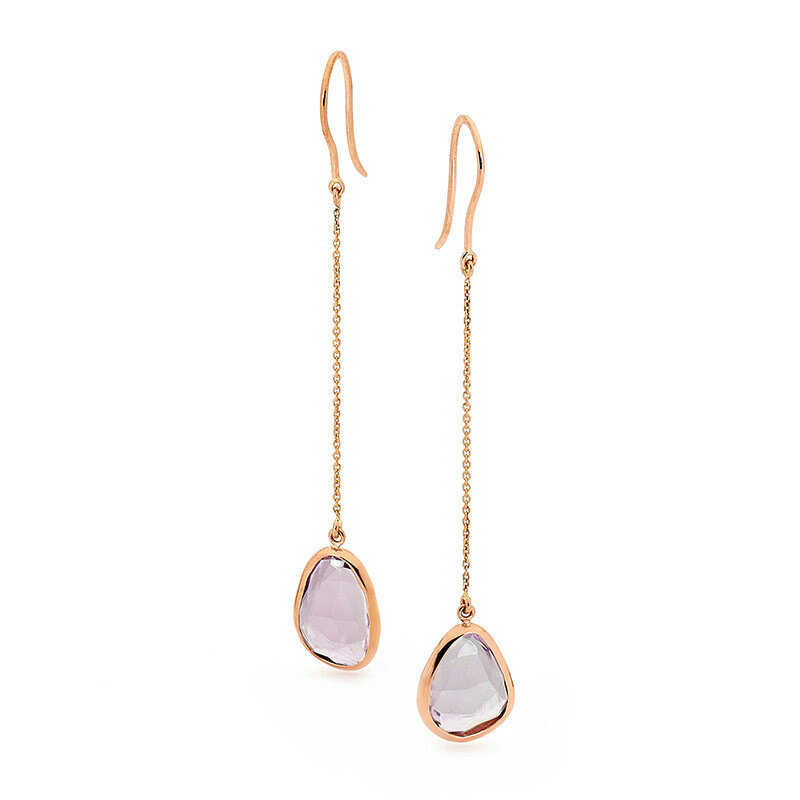 Heavenly Escape delicate chain drop earrings have a subtle hint of pink champagne colour gemstones. 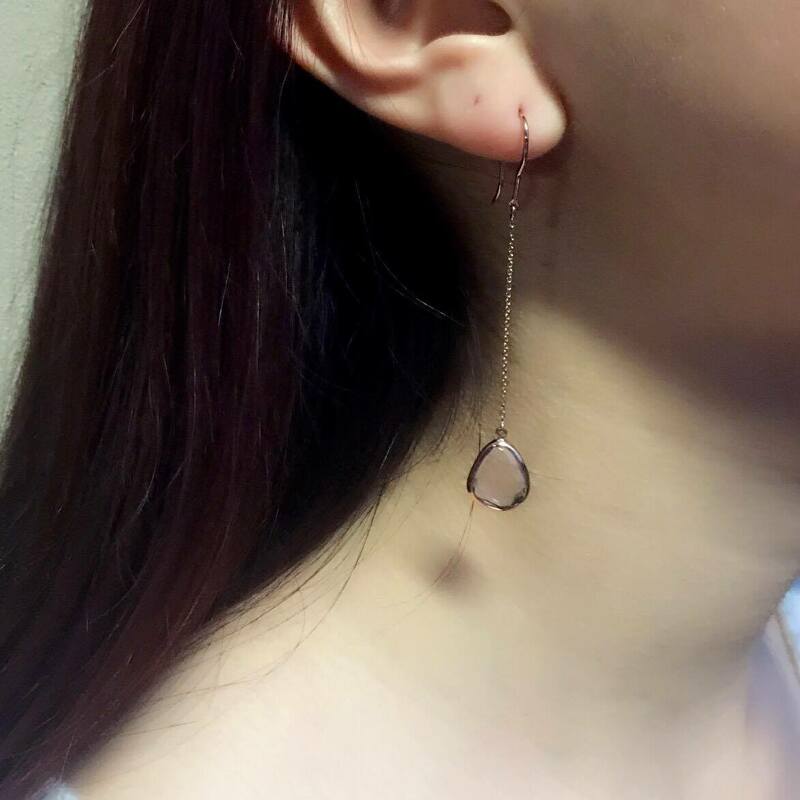 Featuring organically shaped rose cut pink amethyst they are set in 9 carat rose gold and have a modern twist on a classic design. 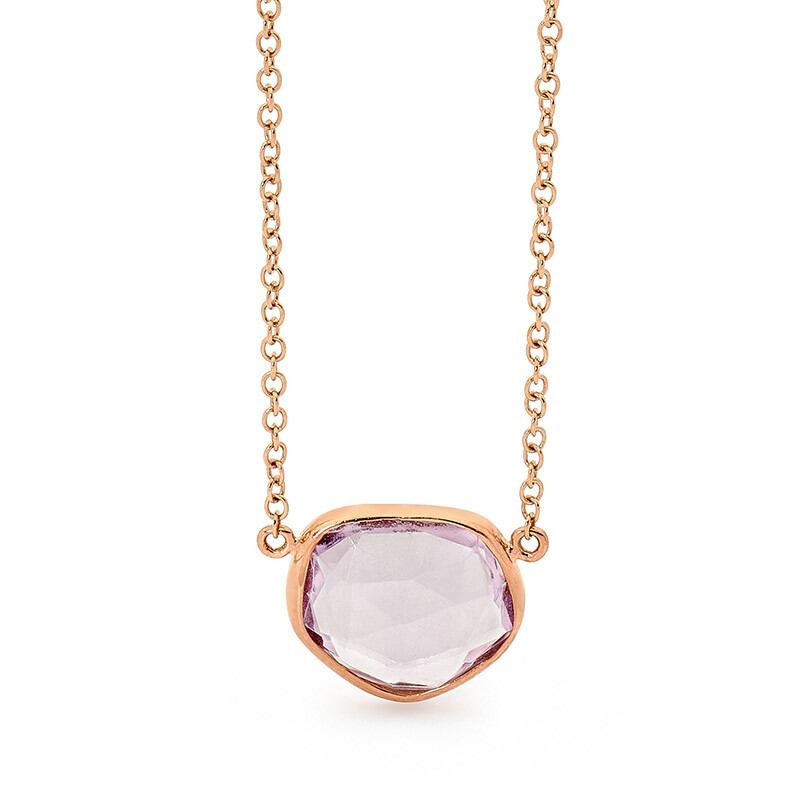 Learn more about the properties and meaning of Amethyst.